What is a Direct Care medical practice? Physicians across the United States are eliminating the burden of billing insurance plans, which consume precious office resources, delay office work flow, and increase healthcare costs. The core concept is to restore the historic physician – patient relationship. Our patients will enjoy numerous benefits not commonly seen using today’s “traditional” healthcare environment. We will offer a more comfortable environment, shorter periods to schedule visits, and shorter wait-times in the office. How do you support such a practice? Patients have the option of paying an annual Wellness Membership fee or a scheduling fee for each office visit. In either case, the costs of running such a practice are much lower. In today’s healthcare system, a typical physician may need to care for 3,000 or more patients. This practice model allows us to decrease the number of patients by improving efficiency. How much is the annual Wellness Membership fee? No. We do not participate in any insurance plans, including Highmark, UPMC, or Medicare. There is an annual Wellness Membership fee or a pay-as-you-go scheduling fee for office visits. There will be no hassles and no hidden charges. This program does not replace your existing health insurance, which will be necessary for all expenses outside of our office, including diagnostic lab work, x-rays, hospitalizations and visits to other doctors. However, you might consider lowering your insurance premiums by carrying a higher deductible, because your insurance will not be billed utilizing our services. You are encouraged to discuss this with your healthcare consultant. Will my insurance reimburse me for your fees? Because insurance plans vary, we cannot advise you regarding reimbursements. However, some Flexible Spending Account (FSA) and Health Savings Account (HSA) plans may pay for all or part of the annual or scheduling fees. Check with your insurance plan administrator or Human Resources representative at work for clarification. Medicare and Medicaid will not reimburse you, because we do not charge for their billable services. Why do you offer telemedicine? 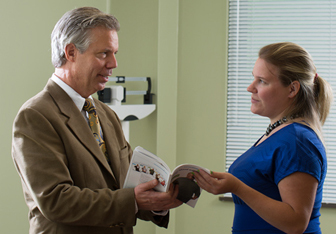 My goal is to provide high quality and affordable endocrine services. Today’s lifestyle demands may not allow individuals the luxury of skipping a day from work to see their doctor. My established patients will have the opportunity to schedule occasional telemedicine visits if necessary. While we attempt to maintain securely private communications, it must be acknowledged that all telecommunications carry a small risk of compromised privacy. Will your orders for labs and radiology, and prescriptions for medications be covered within my health plan? You are encouraged to verify this with your individual insurance plan, but as long as the service is billed by a participating provider, you should receive “in-network” benefits as in a traditional practice. For example, the laboratory or radiology group that performs the service will bill your insurance company for the blood work or x-rays, not my office. How do I join your Wellness Membership? We recommend that you call the office to schedule a meeting or telephone call with Dr. Grondziowski, without charge or obligation, in order to get acquainted and review your medical history and needs. Together, we can determine if our services and approach meet your needs and expectations. We will review our membership agreement with you and answer all of your questions.